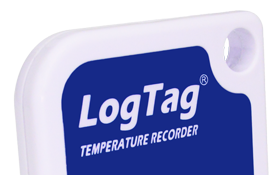 Modern temperature loggers make it really easy to keep a log of vaccine fridge temperatures. But are they making it so easy that we are becoming complacent about checking results? We have had a spate of support calls lately from users who have had checked their log only to find that they haven’t actually been logging temperatures at all. Unfortunately, quite a few of these calls have come after a temperature breach. Here are our top five tips for making sure your temperature data is up to scratch. There are two ways a LogTag can work. If you are logging vaccine temperatures, you want the first one. Most LogTags have a non-replaceable, non-rechargeable battery. When that battery dies, you will need to replace the whole LogTag. The exceptions are the models that have LCD displays – these have a replaceable battery. The replaceable batteries should last about a year. The non-replaceable batteries should last between 2 and 3 years. They are designed to output a consistent voltage right up until they die, so when you see a low battery warning, it is time to act quickly. If the LogTag is started, its green LED will flash every few seconds. If the green light is not flashing, press and hold the Start/Mark button until both the red and green lights flash. If the lights do not flash, it may be that the battery is dead. Place the LogTag in the Reader to double check. If the red light is flashing, it means the LogTag is started, but is in alert. Place the LogTag in the Reader to check results. Make it a habit to check for the green OK light every time you visit the fridge. Everyone will have their own schedule. You may download every day or only once a week – but we recommend it is no longer than that. If your LogTag is set up the way we recommend, you do not have to configure or start the LogTag each time. Simply retrieve it from the fridge, connect it to the computer, wait for LogTag Analyser to download the report, and return it to the fridge. The whole process should take less than a minute. The easiest way to quickly interpret the results is to click on the Report tab at the bottom of the page. In the Report that opens, check the box in the top left hand corner. Here you can quickly see if there has been a problem. 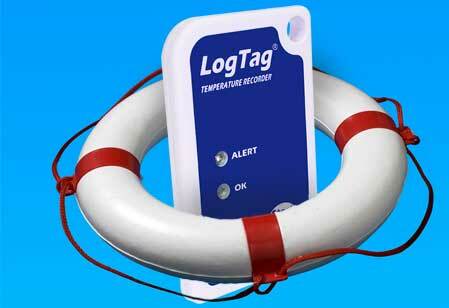 Remember we are always here to answer your questions about your LogTag. Call us on 1300 30 33 34.